I wanted to make wall in gray colors, when I hear gray I always remember "d.gray" >_< so such title D.Gray-Style. I left D-Gray in original font and changed word style - such interesting combination. In all I spent 5 or little bit more hours to make whis wallie. Hm... It is really very stylishly x) Thanks 4 this wallpaper! oh my goodness, i never thought i'd see the day when alen had a pony tail. i'm so glad u shared this! I hate Allen's expression here... and the background too anonymous..too simple , plain! 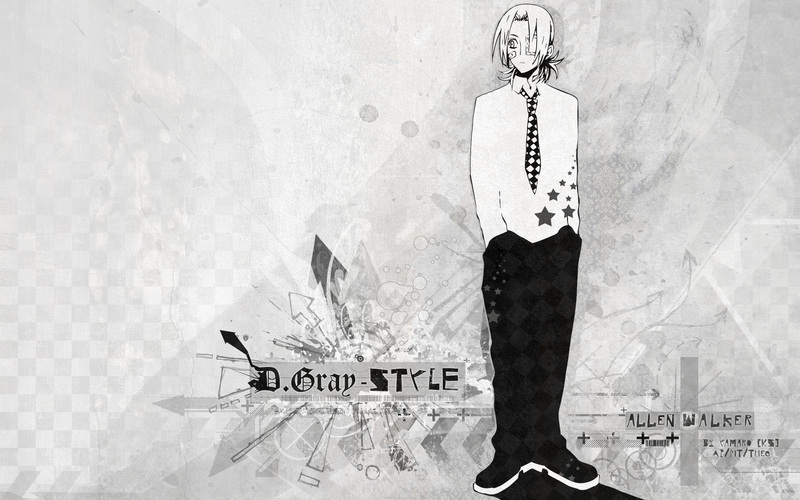 I love the style of Allen in this wallpaper!